Marcus Aurelius Severus Alexander Augustus was Roman Emperor from 222 to 235 and the last emperor of the Severan dynasty. 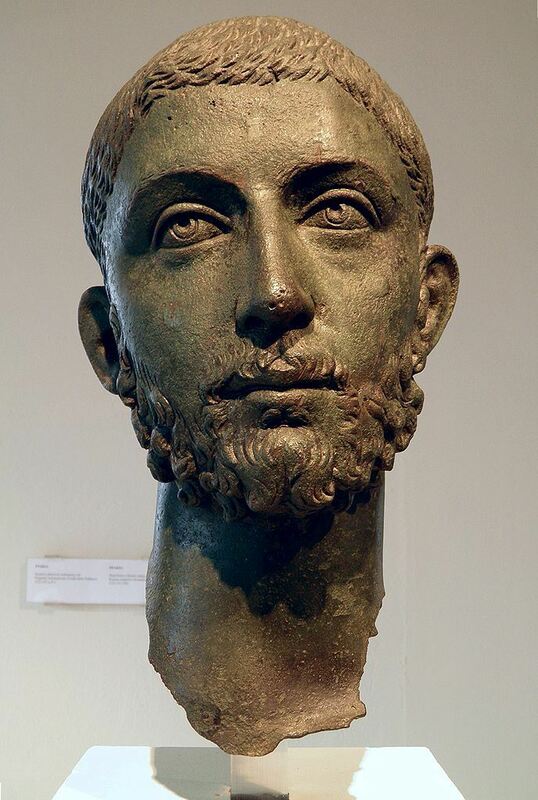 He succeeded his cousin Elagabalus in 222, and was ultimately assassinated himself, marking the epoch event for the Crisis of the Third Century — nearly 50 years of civil wars, foreign invasion, and collapse of the monetary economy, though this last part is now disputed. (3) Severus Alexander 222-228 A.D.